Quality Meat Scotland said producers were cautious heading into 2018. Passing increased production and processing costs onto consumers could be the biggest challenge facing the livestock industry as it goes into 2018, following a year marked by significant challenges from the weather. Quality Meat Scotland (QMS) head of economic services Stuart Ashworth said producers were heading into the New Year with ‘a degree of caution’. Tighter supplies of prime cattle were expected to offer some support for prices but it seemed likely there would be a higher carry-over of hoggs than last year. And with wage inflation falling behind retail price inflation, it would be difficult for increased production and processing costs to be passed down the supply chain. While livestock farmers would remember 2017 for the challenges of harvesting winter fodder and straw which slowed growth rates, the market has been ‘robust’ in the second half of the year. Prime cattle prices were up this year, with Scottish abattoirs failing to match the monthly slaughter volumes of 2016 until November. 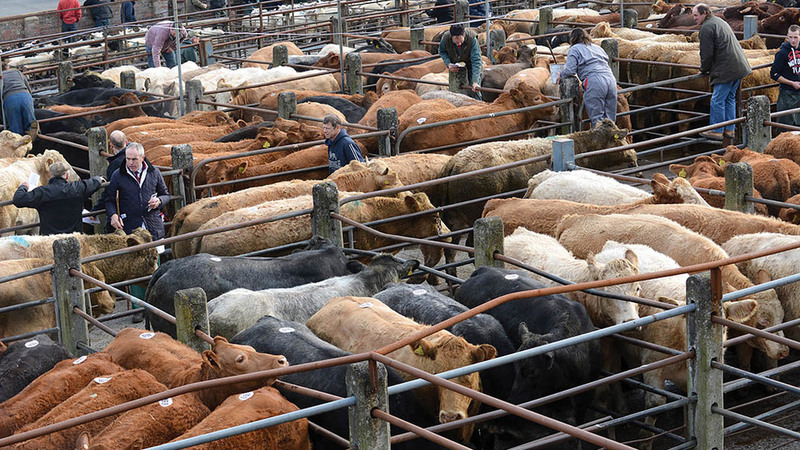 Farmers have also responded to the calls for lighter cattle, particularly steers, which helped support farmgate prices alongside lower stock numbers. Mr Ashworth said: “Prices were also strong for cull cattle, despite the numbers reaching Scottish abattoirs in 2017 being higher than last year until November. For lamb, there was firmness in prices for the 2017 crop but store lamb finishers selling in the first third of the year failed to match 2016 prices. Key factors have been quality and volume, with tighter volumes in June, July and August alongside Ramadan, supporting prices. However, lower quality and increasing numbers put pressure on prices from September. “It was not until November the volume of new season lambs reaching the marketplace was consistently matching year earlier levels,” Mr Ashworth added. Store lamb buyers were also more cautious at later sales due to the impact of weather conditions.